Hey friendly people. 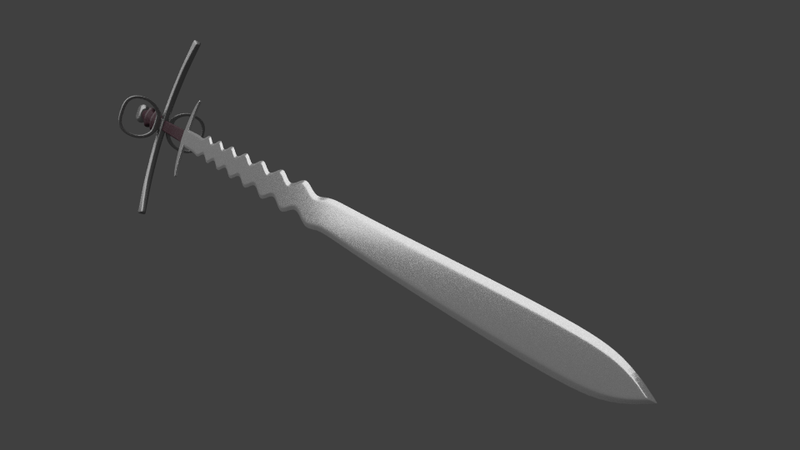 I made this nice greatsword in Blender yesterday. 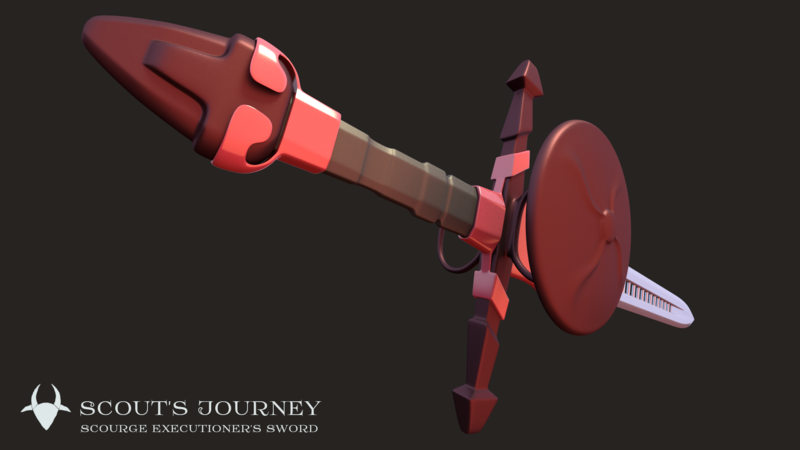 It’s the Order Executioner’s sword from Scout’s Journey. I actually got the idea from a dream I had, the little shield on the finger guard and the slotted fuller on the blade are details from the dream. This is one monster of a sword. It’s probably going to be in the Heavy category in the game, not because of its weight but because of the bulk and the damage type it has. 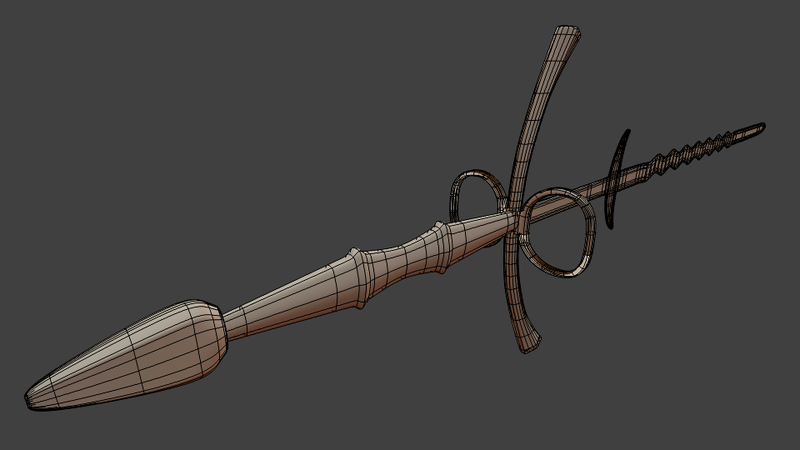 Here’s the hilt. I made it suitably bulky to fit the brutality of the Order. The Executioner is their top of the line heavy unit. 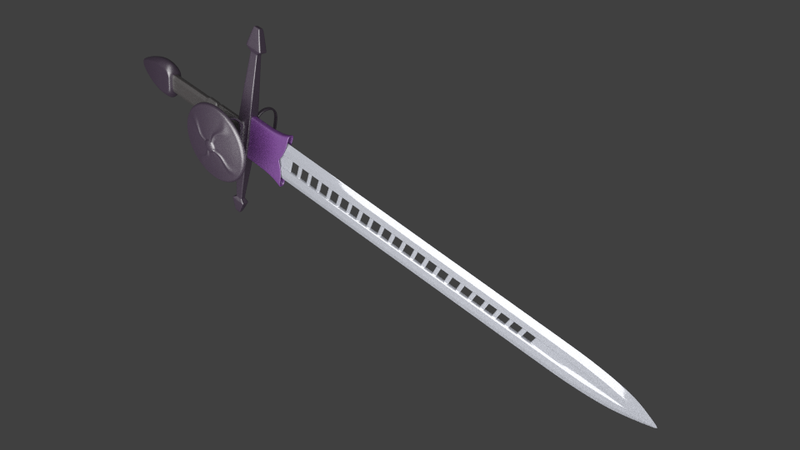 I think this sword is fitting. Here’s the wires. 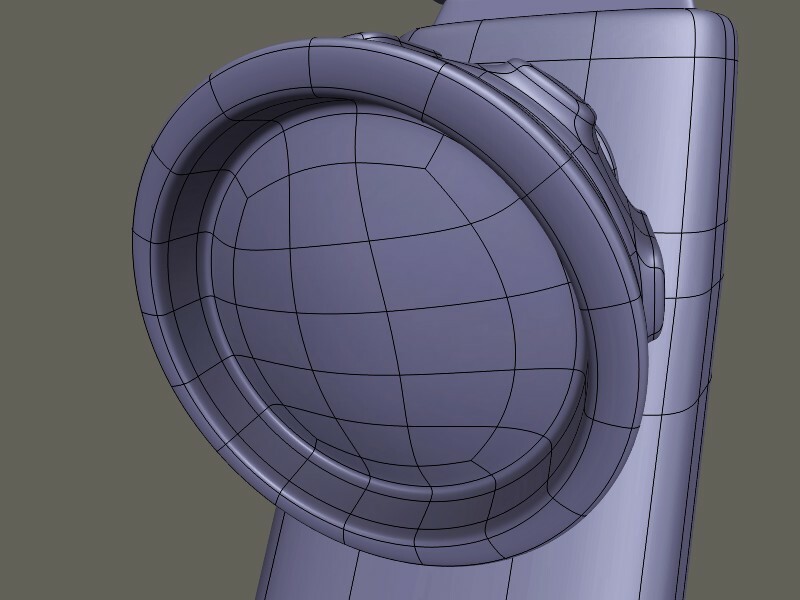 I learned some interesting details here, such as creating the pattern on the shield. 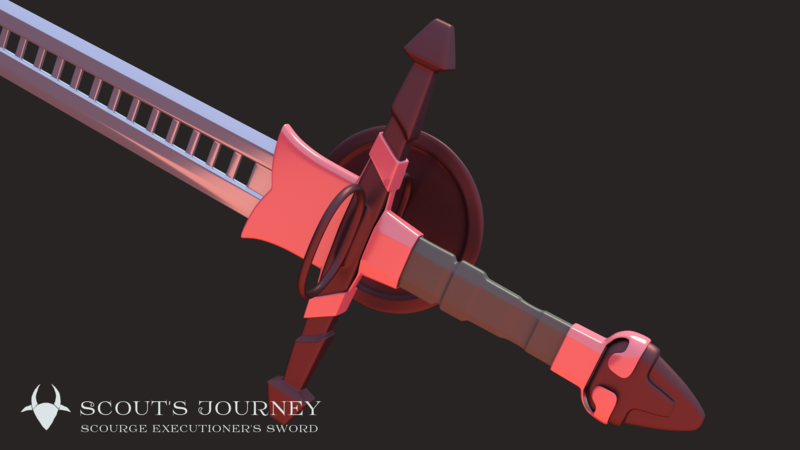 This sword was already made two years ago, as a low poly model. 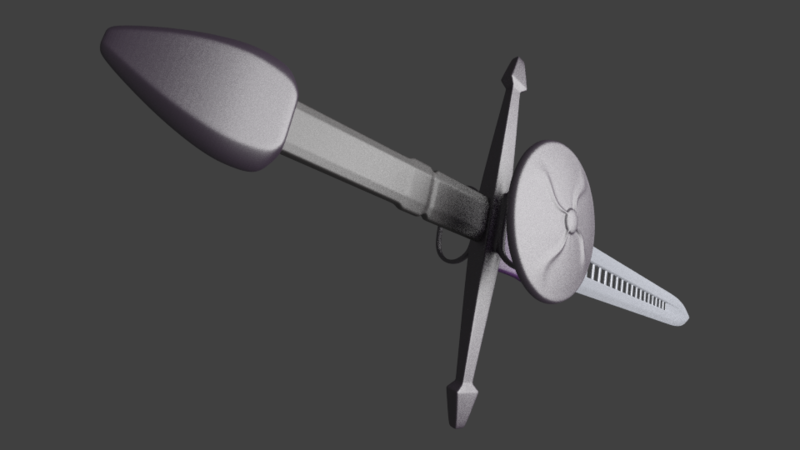 I took it to high-poly and corrected a few things about the proportions – such as the dimensions of the handle and crossguard in relation to the blade. 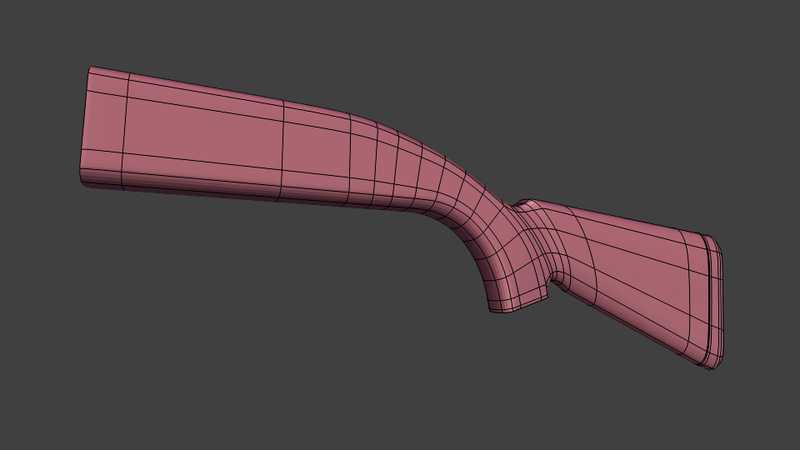 I also added the rings, which follow the curve of the crossguard. 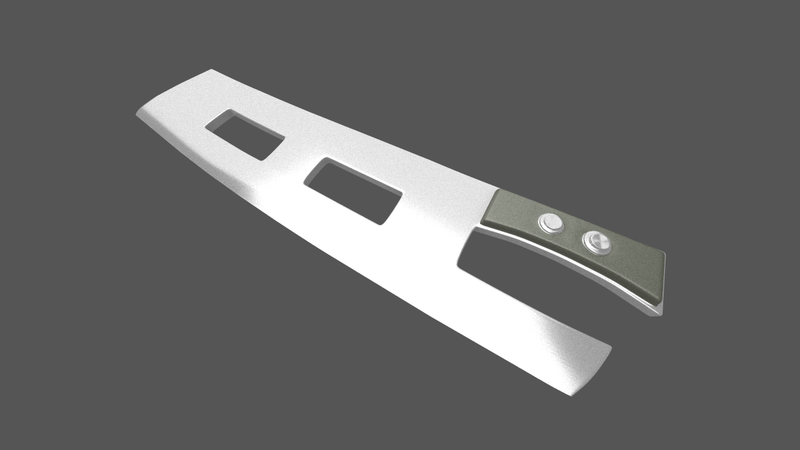 I also increased the visibility of the zigzag pattern of the blade. Whenever you use an effect like that in a game, make it noticeable. 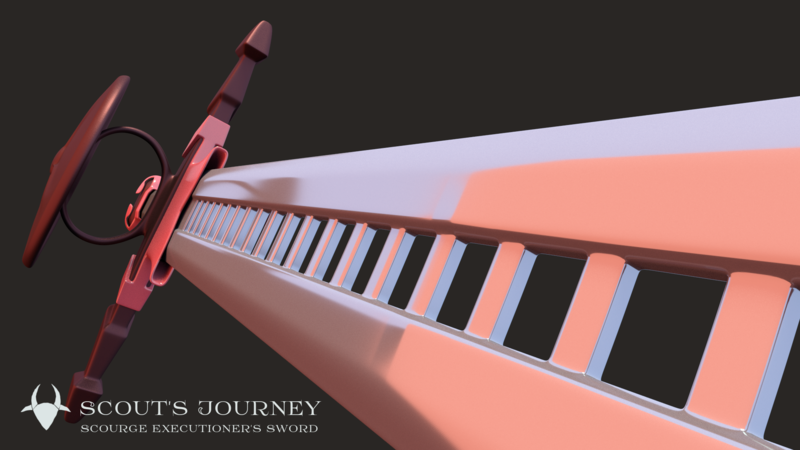 This is also why many swords in games are comparatively bulky, simply to ensure the visibility and help recognize the silhouette in a busy game render. 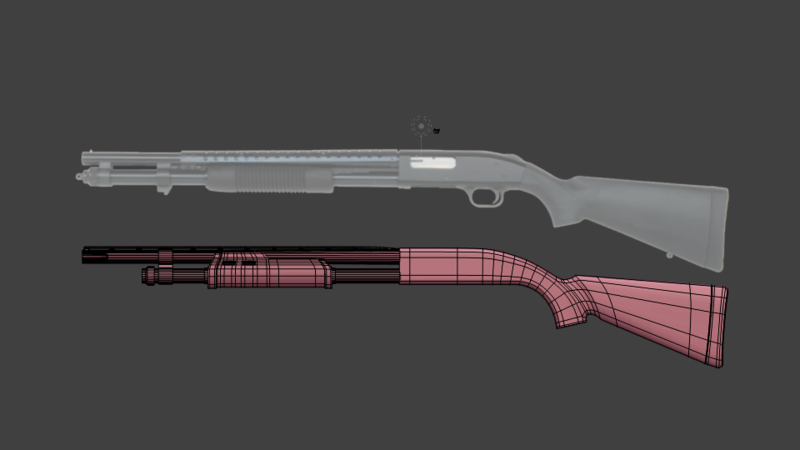 Another model got some hi-poly love, the Herd Machete. A modern utilitarian design, they probably cut these out of sheet metal. 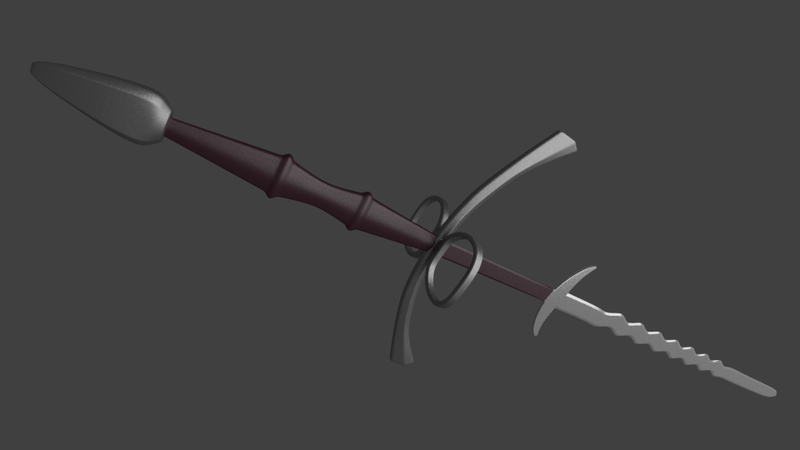 I think this is the lightest and smallest sword in SJ, so there should always be room for one in Scout’s magic bag. Who knows when a lady might have to do some chopping. Swords are very good examples of an object that has to be useful (form follows function), but can also look quite stunning. And there are a lot of cool variations. 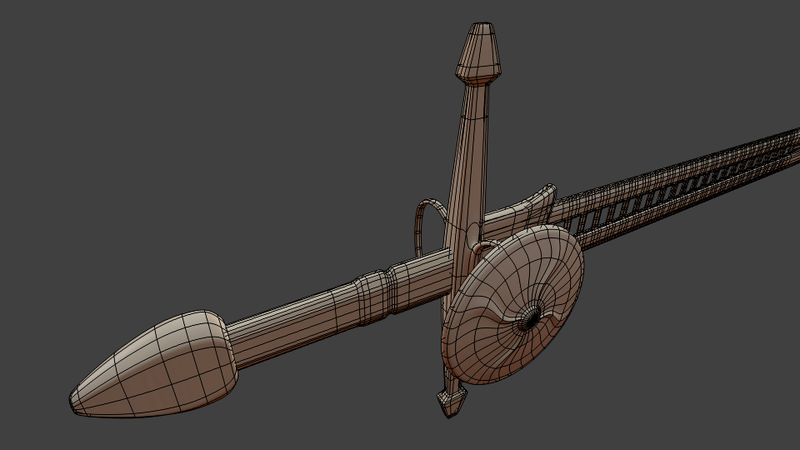 I really prefer modelling classical weapons to something like assault rifles, which admittedly have a lot more detail on them but by this time, we’ve all seen quite enough of them. Swords are an area where you can still experiment a whole lot. Hope you enjoyed. Till next time! 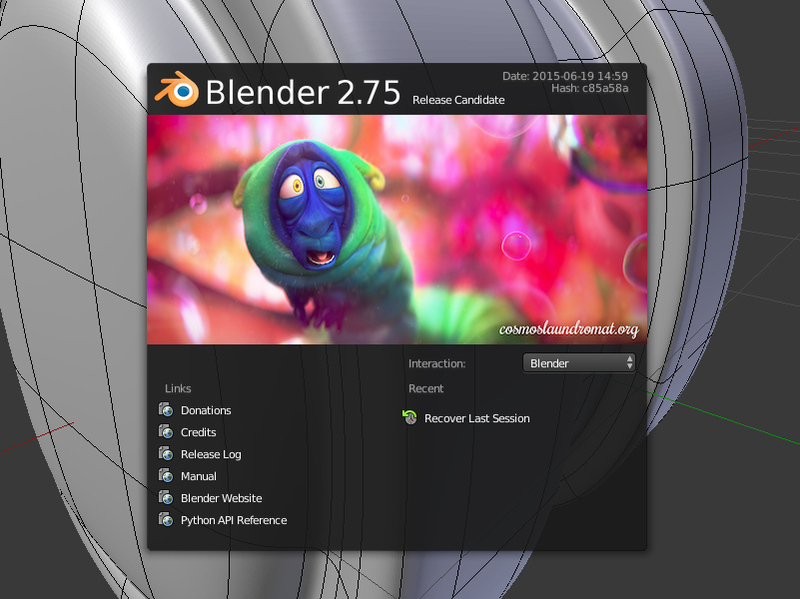 Blender 2.75 RC2 contains a bugfix that allows for fly mode with a graphics tablet. Fly mode is especially neat for environment artists because it lets you traverse large models quickly and precisely, much like “noclipping” in an engine. Previously, the view would spin uncontrollably. 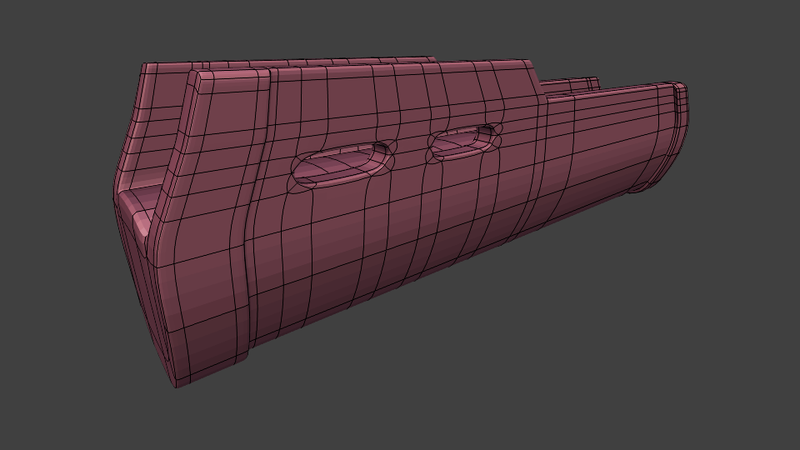 I’m slowly getting into working in Blender with a tablet instead of a mouse – I use a Wacom for all my PC work now – and after some initial finding my feet, it works very nicely. I’m convinced that a tablet is a much more ergonomic input device compared to a mouse, my wrist feels a lot better since I started doing this anyway. 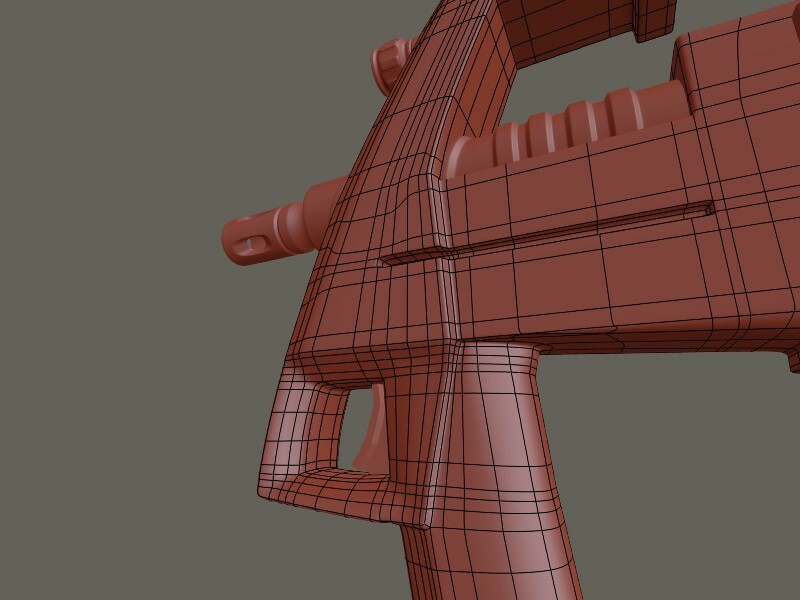 You can get this version of Blender here. 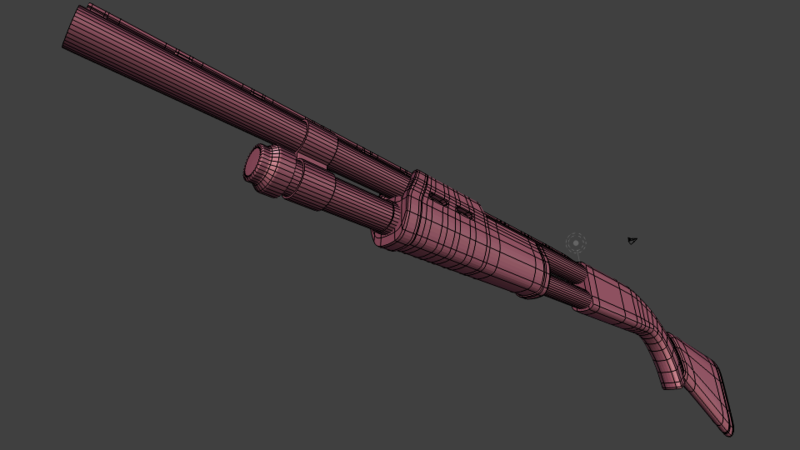 Learned how to do pretty smooth lens shapes and do proper wire renders with Blender. There’s a simpler way than the Cycles one posted here.